Famille Carabello-Baum is the fifth family to steward the domain in almost three centuries and their vision is to introduce wine enthusiasts from around the world to the elegant tastes of Burgundy. Michael’s personal journey with wine began when he first traveled to France on his honeymoon with his wife Julie 25 years ago. 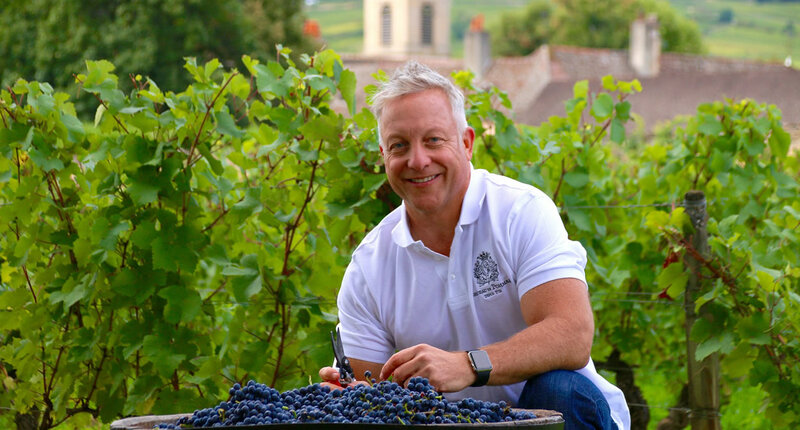 The passion he experienced then remains undimmed, and now his passion for French wine and culture has brought his family to Burgundy as the new owners of Château de Pommard. Splitting his time between San Francisco and Pommard, Michael enjoys studying the incredible diversity of the seven micro-terroir found in Clos Marey-Monge, working to bring sustainable practices to the estate's viticulture and winemaking and sharing the beauty of Burgundy with the world in new and innovative ways. And with the recent launch of six new Wine Experiences, clients of all wine knowledge levels – from novice to seasoned wine enthusiasts – are offered a unique and entertaining wine education including incredibly rare insights into the untouchable world of Burgundy’s terroir, viticulture and winemaking.